The days of fooling search engines using manipulative SEO tactics are behind us. Goodbye! Going forward, many factors will influence the strength of your business presence on the Web: user behavior patterns, the proximity of the searcher to your location, and of course, the relevance and authority of your website content. You will need some amount of thoughtful content on your website to engage users, to drive search results, and to compete at the local level, in your own town. That’s a big change from a few years ago. The bar has been raised. What topics will resonate with your audience? What headlines will induce readers to click so you at least have a shot at engaging them, and to ultimately sell your product or service? It’s tempting to think we know what others want, or what questions they might have. So often, we’re wrong. Rather than guessing, it’s more effective to observe real behavior and take action based on what people do. That’s what I’m advocating here. Rather than creating content out of the blue because we think people will like it, how about if we let their behavior point the way? Reddit gets about 250 MILLION unique visitors per month — massive traffic that you can quickly tap to find headlines and topics that are hot. By looking at reader feedback — called upvotes on Reddit — we can discover headlines and content that are proven to engage readers. The idea is find out what topics and headlines are generating a response, then comment or improve on that content, then re-publish it to your email list and social channels. Remember that the majority of your shared content can be curated from other sources — you don’t need to create everything from scratch. Go to Reddit.com. Search for your business type, or a niche you want to develop. For example: physical therapy, nutrition, audio systems, auto repair, chiropractic, etc. In the menu bar, click the Top link. 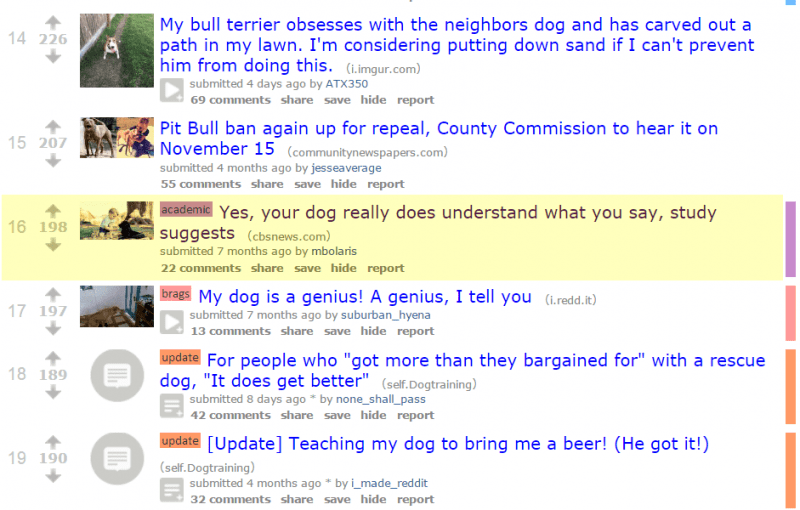 You’ll should see a list of popular headlines / posts sorted by upvotes over the past year. From the top posts, pick some that have plenty of upvotes and fit your niche. Use them as a starting point for your post / headline (post title). Check Related Subreddits in sidebar. You may find a subreddit that’s more popular than your initial search. Subreddits also suggest blog categories you may have missed. Optional: Squeeze even more juice by running the headlines through an analyzer: CoSchedule or Sharethrough. Pretend you’re a dog trainer that wants to attract more local clients and build your brand as a dog behavior expert. Search Reddit for dog training. Choose one of the top subreddits such as https://www.reddit.com/r/Dogtraining/. Click Top in the menu to sort by upvotes. There are many strong headlines on this page. Here’s a good one. A catchy title with 198 upvotes. 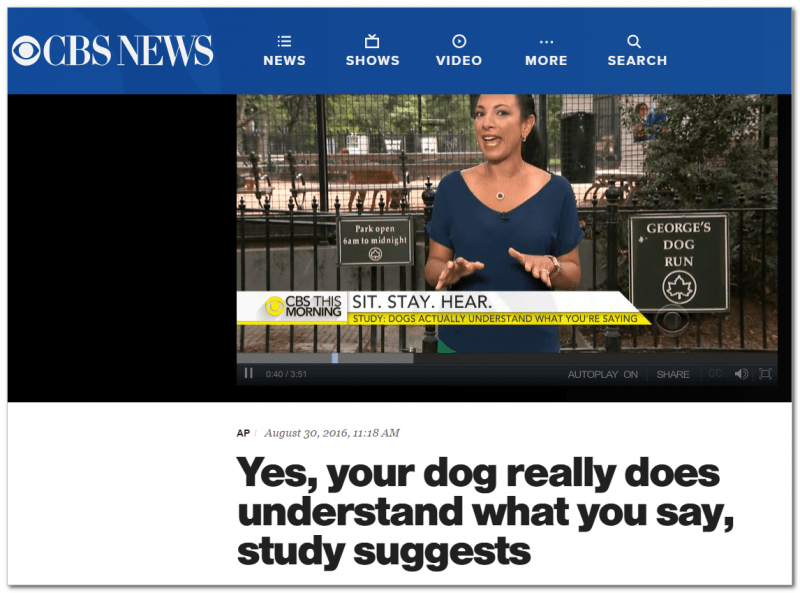 Yes, your dog really does understand what you say, study suggests. This reddit points to a CBS post, so you use this content directly, but you can certainly use a variation of the headline, comment on the story, and share it with a link pointing back to your post using Sniply. 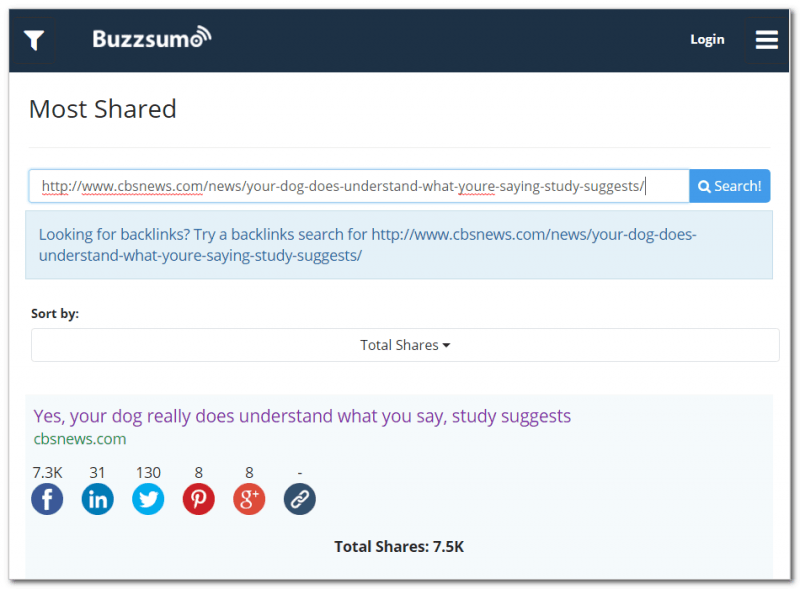 Pasting this headline into Buzzsumo reveals it has 7,500 shares — a solid indicator that this headline and topic, or a variation, could do very well with your audience. Don’t be surprised if your posts seems to go nowhere. It’s tough for small local blogs to surface in the ocean of content there. However, adding fresh content that dovetails with your client’s interests is important for local businesses, even without shares or links. You’ll need more, and more relevant, content than the next guy to stay at the top of the local search rankings. Beyond that customers, clients, and patients all notice. Good-looking fresh content means you’re on top of things and thinking about your business. That alone instills trust and confidence. So regardless of the final share and link outcome, you might as well jump-in and build a content foundation, even if doesn’t reach beyond your local market. 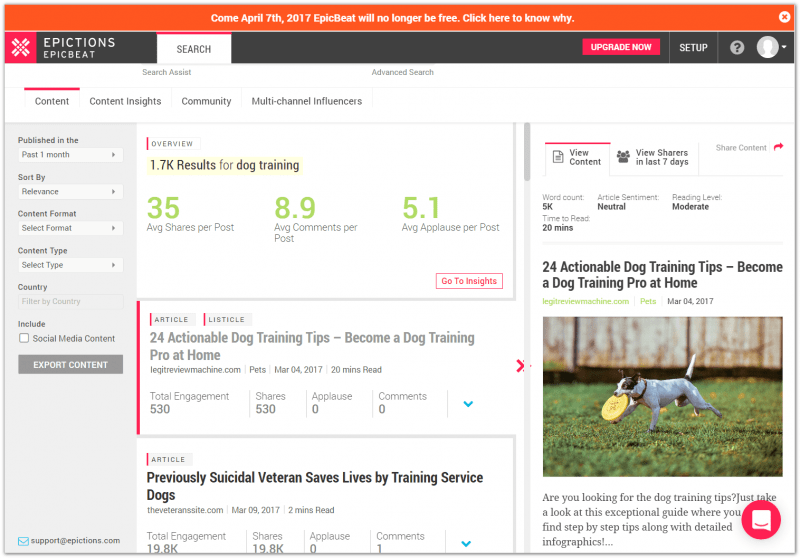 In two minutes we’ve discovered a topic and headline that is likely to be shared and will help bring people into a marketing funnel. What is your experts view? How might this item affect your local clients? How much text should you add? Well, that’s really up to you and your resources. I can tell you that posts of 1,000 – 2,000 words get the most engagement. Whoa! You may not have time or desire to do that. So make your content shorter. You may not get all the juice, but you’ll get some. Workaround: Some people love to talk about their niche. If that’s you, here’s a streamlined method: capture your thoughts on a digital recorder, transcribe the audio file, then paste it in your post. Six minutes of audio = 1,000 words on average. Not bad! 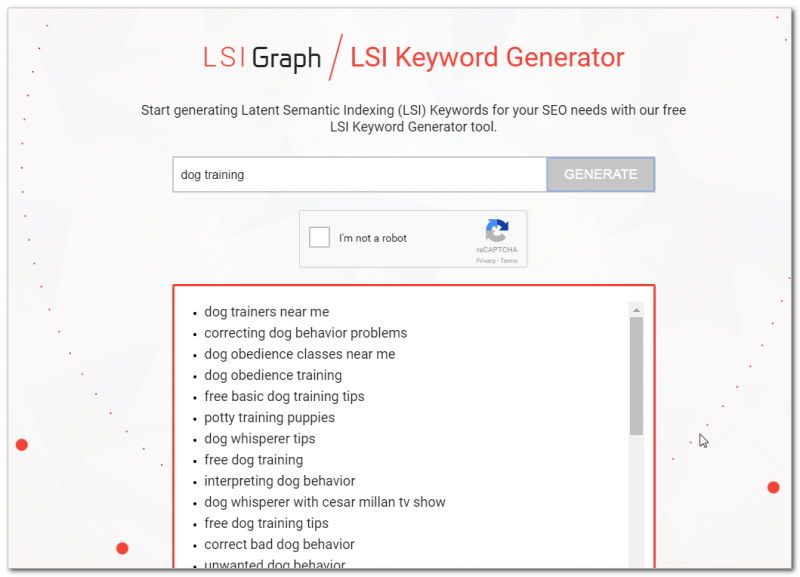 Add a few related related phrases to your transcription from LSI Graph. Type-in your topic and get results in seconds. Don’t scrimp on photos. Research shows that one photo per 100 words maximizes shares. Try Librestock, Flickr Creative Commons, or have some fun taking your own. Finally, post your masterpiece to your blog and share it far and wide. Send it out to your mailing list and update your social media channels. Far better than guessing, right? P.S. 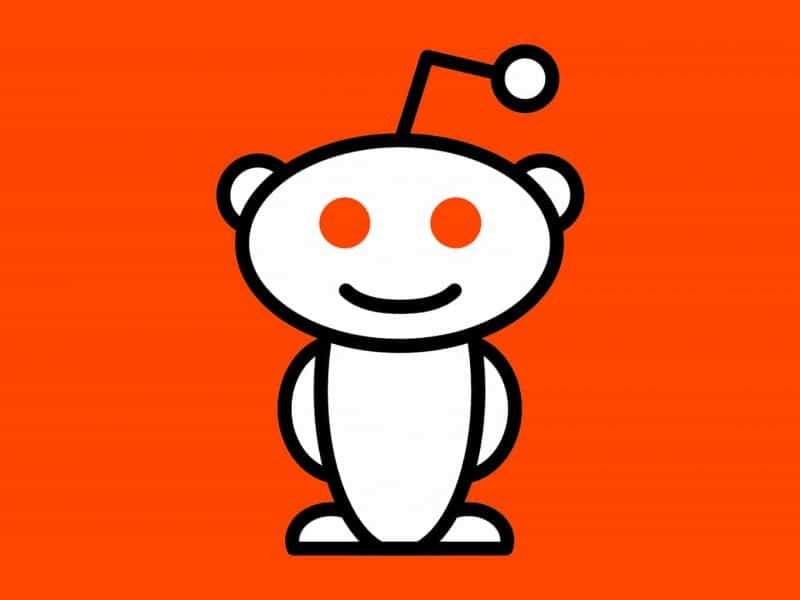 : If you’re not crazy about Reddit, try Buzzsumo or EpicBeat. Unlike Reddit, these services are not free, but you may be able to run a few free searches per day before being locked-out. Alternative: Use Epicbeat to find hot headlines and topics.